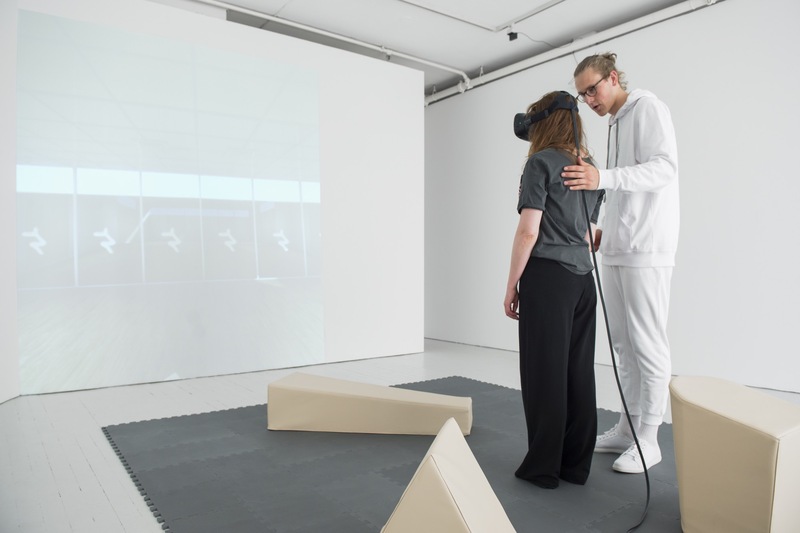 A series of videos, sculptures and Virtual Reality-tech taking their departure from the aesthetics, apparatuses and ideologies of the fitness industry. In the gym your only concern is yourself, you are anywhere and nowhere, enclosed by a hallowed space where decay and worries from the outside world seems absent. Tutorial#8 SQUAT refer to the subjects failure to act adequately on instruction. 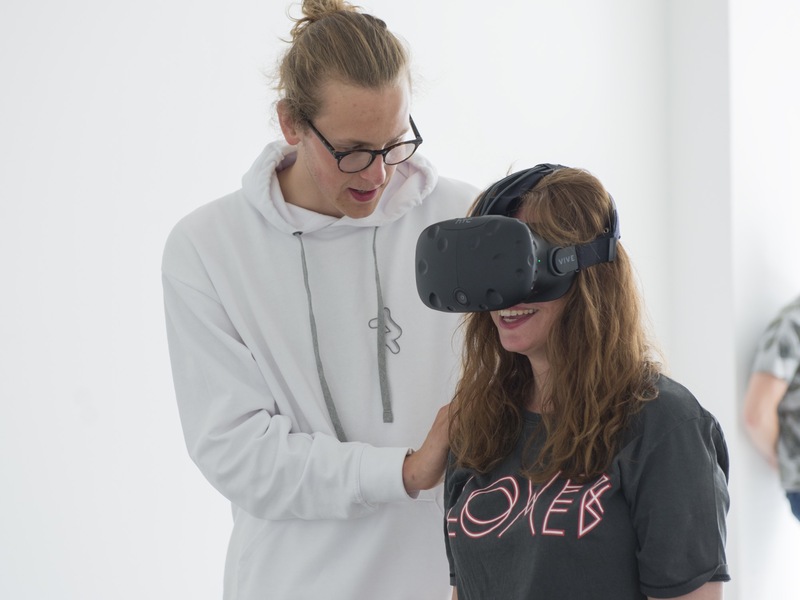 In its iteration at PODIUM Oslo the visitors are encouraged to take the VR-system for a test run, letting its constructed, virtual environment overlap the installation in the exhibition space. 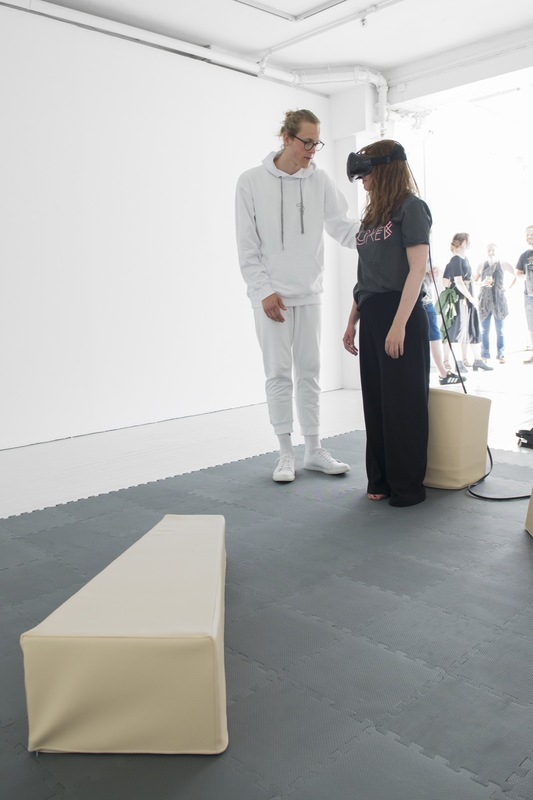 SQUAT materialises the virtual and breaches the escapism inherent in the popular presentation of the new VR-medium, bringing your attention to the haptic, shaking, fleshy body stuck in the centre. In a society always adapting to the newest demands, the body emerges as the image of the rebel. Maren Dagny Juell’s moving image and installation works redeploy motifs, concepts, languages and drawn from a complex range of sources. 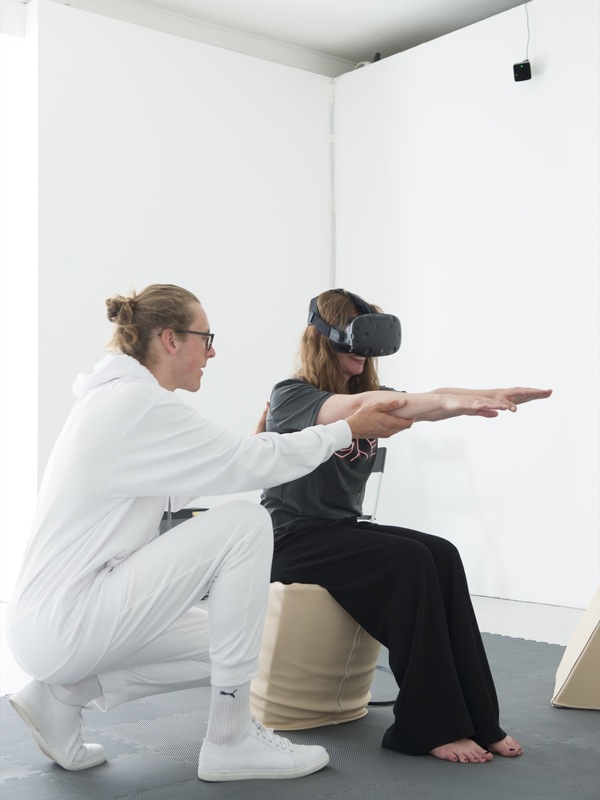 Combining visual polish and attraction with invocations of alienation, doubt and the loss of control, they seek to investigate the reality of the appearances, surfaces and visual spaces of technology, and the effects of those spaces on formations of human subjectivity. Based in Oslo, Dagny Juell received her MA from Chelsea College of Art (London) and has exhibited widely in Norway, including the Astrup Fearnley Museum of Modern Art (Oslo) and Stavanger Kunstmuseum. 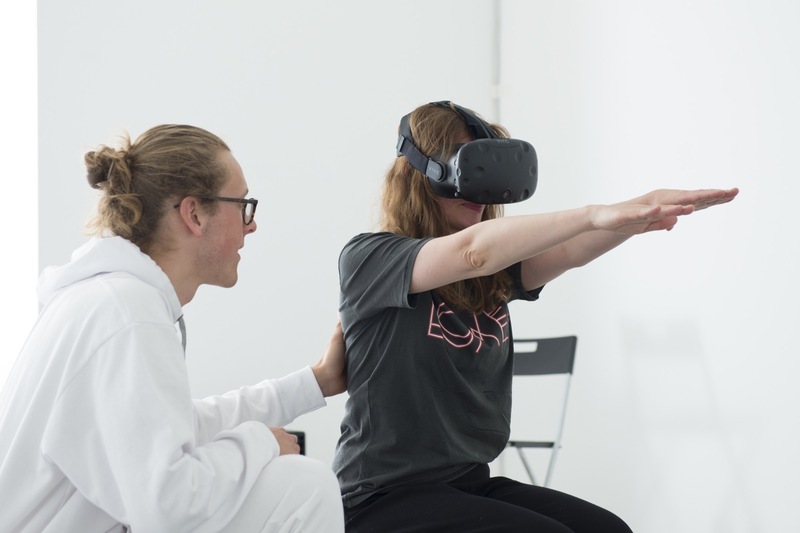 She is currently working on a larger project called SQUAT, which will culminate in 2018 with exhibitions at Trøndelag Senter for Samtidskunst and at Trafo Kunsthall. For further information see www.marenjk.net.